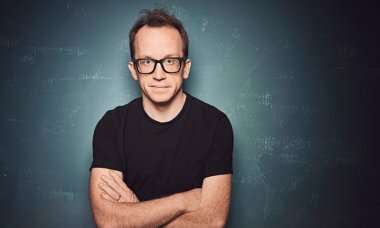 The widely acclaimed US comic CHRIS GETHARD returns to London for an intimate stand-up show. Chris is the host and star of Funny Or Die’s The Chris Gethard Show, the host of popular podcast Beautiful Stories from Anonymous People and has enjoyed sell-out runs in Edinburgh, London and New York with his one-man show, Career Suicide. In the US, Career Suicide enjoyed a smash-hit off-Broadway season produced by Judd Apatow, and later transferred to HBO. Chris has also starred in Mike Birbiglia’s movie Don’t Think Twice, and featured in Inside Amy Schumer, Parks and Recreation, The Office and Broad City. Chris is also the author of the book A Bad Idea I’m About to Do and his first stand-up album, My Comedy Album, debuted at #2 on Billboard’s chart in 2014. His next book, Lose Well (published by HarperOne), is out October 16, 2018. * You can also see Chris Gethard as part of Bush Hall Presents with John Robins on Friday 14 September.